There are a large number of free tools for the verification of disks capable of giving you help in determining, if any, problems with a hard drive . Applications such as Windows Error Checking and the chkdsk command are already included in the Windows operating system , but some others, such as those mentioned below, are available from hard disk manufacturers and other developers. Important: depending on the problem found, and if errors are found in any section of these tests, you may require a replacement of your hard drive . Follow the advice offered by the program or see Get more help for more related information. Note: many commercial hard drive repair software are also available. Make sure you try these free diagnostic programs first before paying for any application! Seagate SeaTools is a free hard drive verification program offered in two different formats. 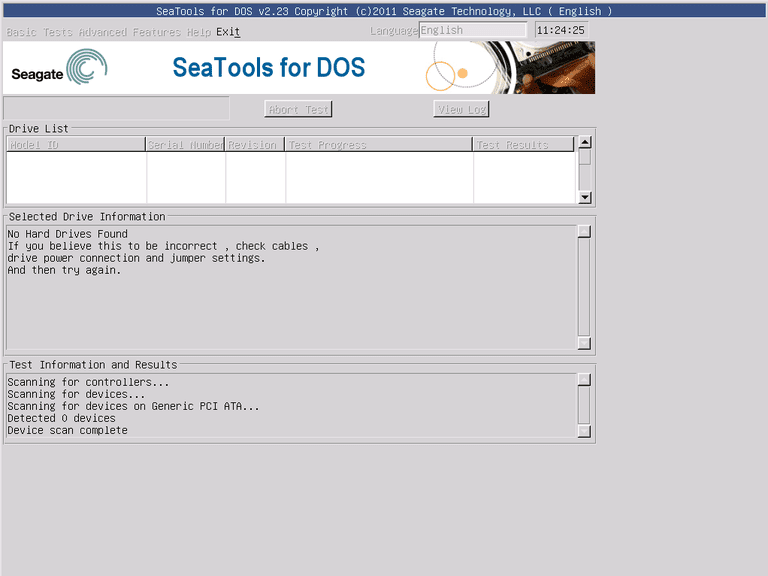 SeaTools for DOS supports Seagate or Maxtor devices and can run independently from your operating system from your CD or USB device , making it a highly reliable program. SeaTools for Windows , on the other hand, is a program that will effectively be installed on your Windows operating system. You will be able to perform basic and advanced verifications on any type of device – internal or external – from any developer. For those who are looking for SeaTools Desktop, SeaTools Online, or Maxtor’s PowerMax software, it should be noted that the two applications mentioned above have succeeded in replacing these three. Seagate is the current owner of the Maxtor brand. The Seagate SeaTools programs represent a set of excellent applications. These are used by professional computer services to verify or test hard drives, although these are simple enough for any user to take advantage of. SeaTools for Windows has support to run without problem on computers with all versions of the operating system between Windows XP and Windows 10 . HDDScan is a free hard drive verification program for all types of devices, regardless of the manufacturer. 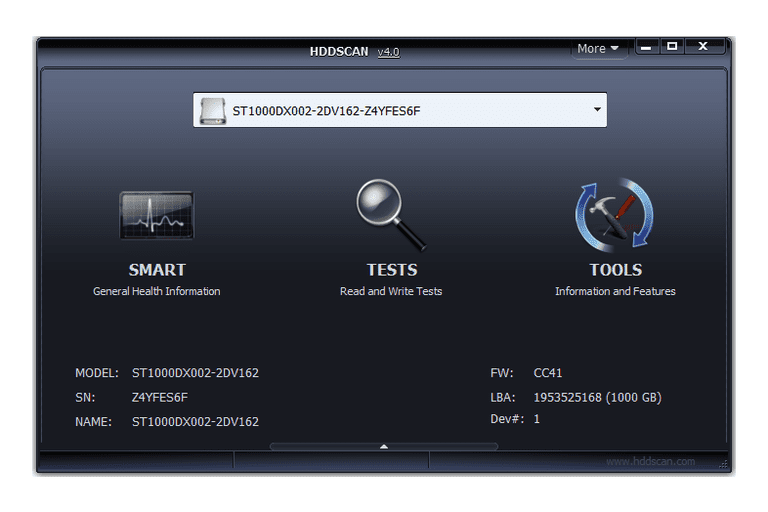 There are many tools included in HHDScan, including a SMART test and a Surface test or surface test. It is a simple to use program, completely portable, with the capacity to support almost all device interfaces, and subject to constant updates. You can use HDDScan in Windows 10, 8, 7, Vista, and XP, just like in Windows Server 2003. DiskCheckup is a free hard disk verifier capable of working with most hard drives in the market. It is an application capable of displaying SMART-type information such as reading error rate, acceleration time, search error rate, and temperature, as well as the particularity of executing rapid or extended disk tests. The details in the SMART section can be configured to send an email or to display a notification when exceeding the limits of attributes recommended by the manufacturer. Hard drives that have a SCSI connection or hardware RAID are outside the limits of the support offered by DiskCheckup and can not be detected by the application. DiskCheckup works on Windows 10, 8, 7, Vista, XP and Windows Server 2008/2003. GSmartControl has the ability to run different tests on hard drives, provide detailed results and offer a general health assessment in relation to each disk. You can view and save the SMART attribute values ​​such as the power cycle count, multizonal error rate, calibration retry count, and many more. Fast self-test : It takes about 2 minutes to complete and is used to detect a completely damaged hard drive. Extended self-test : It takes about 70 minutes and the entire surface of the hard drive will be examined for faults. Transport self-test : This is a 5-minute test implemented to detect damage when transporting the hard drive from one site to another. GSmartControl can be downloaded for Windows in the portable program format, or as a conventional program with your installer. It works on all versions of the Windows operating system from XP to Windows 10. It is a software that is also available for Linux and Mac operating systems, and included in a series of programs of type LiveCD / LiveUSB. 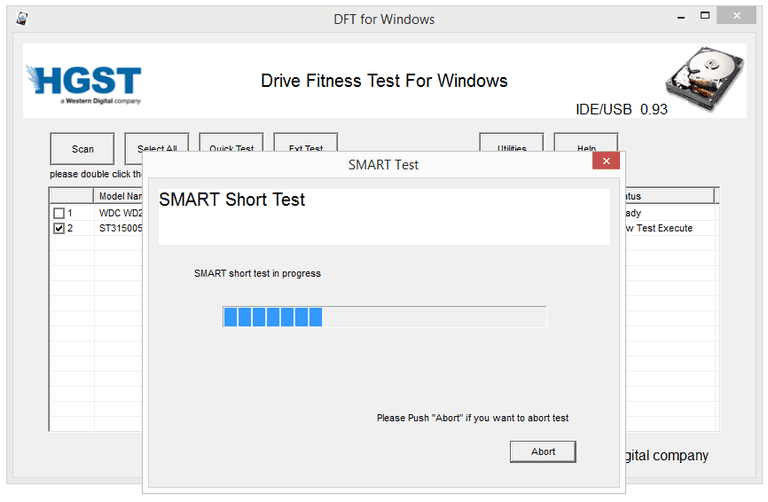 Windows Drive Fitness Test is a free diagnostic tool and available for use on most hard drives today in the market. You can get access to the installation of Windows Drive Fitness Test in your Windows operating system, but you will find it impossible to scan the hard drive where the operating system is located. Unfortunately, only USB devices and other internal devices can be scanned with Windows Drive Fitness Test. You can install WinDFT on Windows 10, 8, 7, Vista, and XP. Samsung HUTIL is a free diagnostic utility for Samsung hard drives. HUTIL is sometimes also called ES-Tool. The Samsung HUTIL tool is available in ISO image format to be burned onto a CD or USB device. This makes HUTIL a tool independent of any operating system and a better testing tool, in general, than those designed to work within Windows. There is also the possibility of running HUTIL from a bootable floppy disk . Samsung HUTIL v2.10: Review and free download. 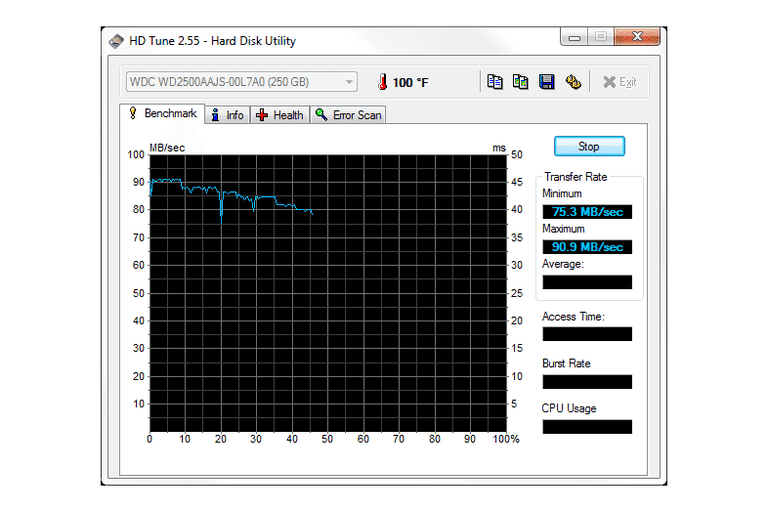 Note: HUTIL is characterized by testing only Samsung hard drives. And although HUTIL will be able to identify hard disks belonging to other companies, the tool will not be able to execute any type of diagnostic test on those devices. As it is a bootable program, you will need a working hard disk and an operating system to burn the Samsung HUTIL ISO image on a disk or USB device. 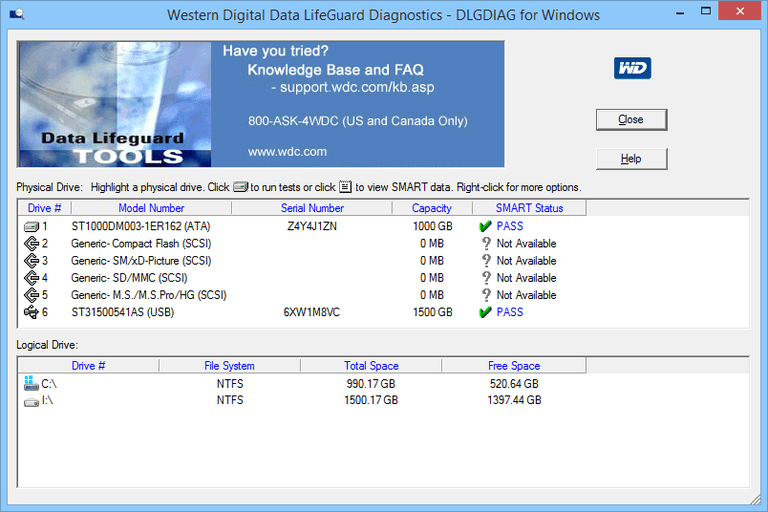 Western Digital Data Lifeguard Diagnostic (DLGDIAG) is a free hard drive verification software exclusively designed to run tests on Western Digital branded hard drives. The Western Digital Data Lifeguard Diagnostic tool is available for download in its portable and bootable versions, and allows the execution of a wide variety of tests on hard drives. See the installation instructions of Western Digital in the following link for more information. Note: DLGDIAD for DOS will exclusively execute diagnostics on Western Digital hard drives, while the Windows version will also work with hard drives from other companies. The Windows version of the program will run on all versions of the operating system from Windows XP to Windows 10. Bart’s Stuff Test is a free Windows-based hard disk diagnostic tool. Bart’s Stuff Test does not have an immense amount of options, nor is it as complete as other programs on this list. Bart’s Stuff Test is a decent ally for your arsenal of hard drive verification tools, especially if you have trouble performing checks with programs based on ISO images and require more than just a default Windows tool. Bart’s Stuff Test has been designed to work on all versions of the operating system between Windows 95 and Windows XP. However, recent tests in Windows 10 and Windows 8 have yielded optimal results without major problems. Fujitsu Diagnostic Tool is a tool for the verification of hard disks designed exclusively for discs coming from the manufacturer Fujitsu. 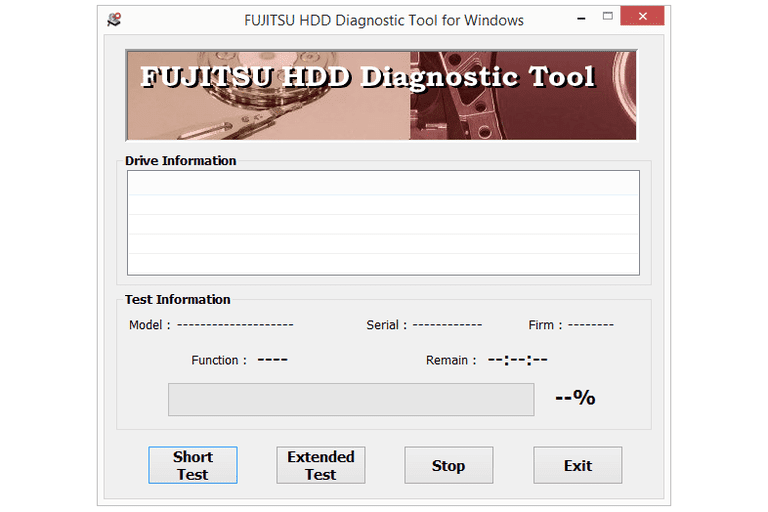 Fujitsu Diagnostic Tool (FJDT) is available in its version compatible with the Windows operating system, as well as in its independent and bootable version. Unfortunately, the bootable version has been designed to run from floppies – there is no image compatible with USB or CD devices. Note: Fujitsu Diagnostic Tool will perform verification tests only on Fujitsu hard drives. If you have a hard drive from a different manufacturer, try one of the independent applications located at the top of this list. The Fujitsu Diagnostic Tool for Windows version should work optimally on all versions of Windows from Windows 10 to Windows 2000. HD Tune is a Windows-based verification tool that can work with any external or internal hard drive , SSD, or memory card. You can run a benchmark reading test , check the health status with a self-monitoring analysis and report (SMART) technology, run an error scanner. HD Tune has support only for Windows 7 , Vista, XP and 2000, although it has also reported an optimal performance within Windows 10 and Windows 8. 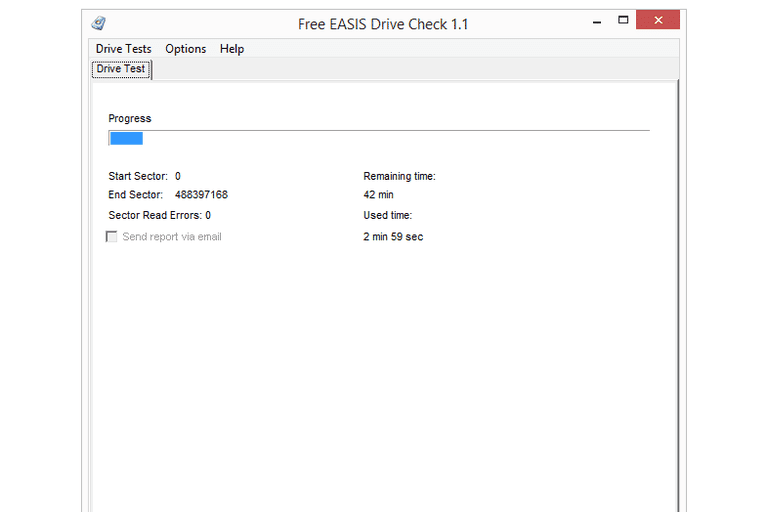 Free EASIS Drive Check is a hard disk tester that has two main checking utilities – a sector type test and a SMART value reader. The SMART verifier has the ability to create lists linked to more than 40 values ​​of hard drives, while the sector test will check the surface of means for error detection. The report of any of these verifications can be read directly from the program at the end, configured to be sent to an email box, or printed. Free EASIS Drive Check was designed to run on all versions of Windows from Windows 2000 to Windows 7, although it has also been possible to perform successful tests on Windows 8 and 10. 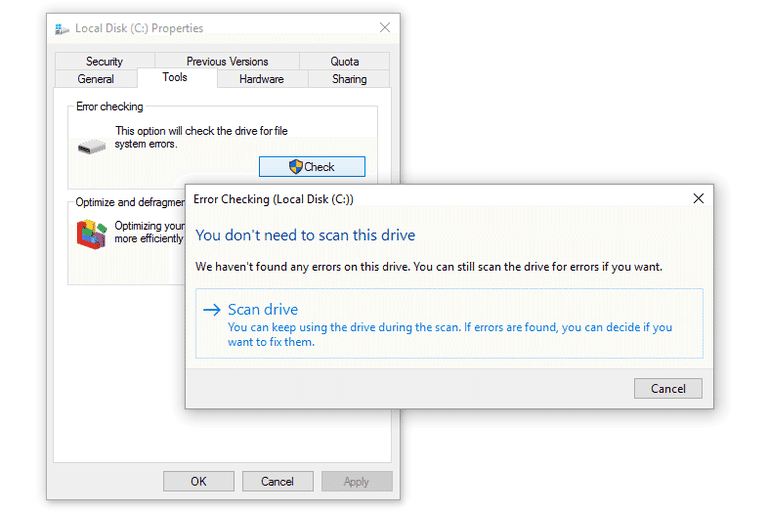 Error Checking, also known as scandisk, is a verification tool for hard drives included in Microsoft Windows and capable of scanning discs for errors of a wide variety. This tool can also be implemented to correct a huge number of problems related to hard drives. 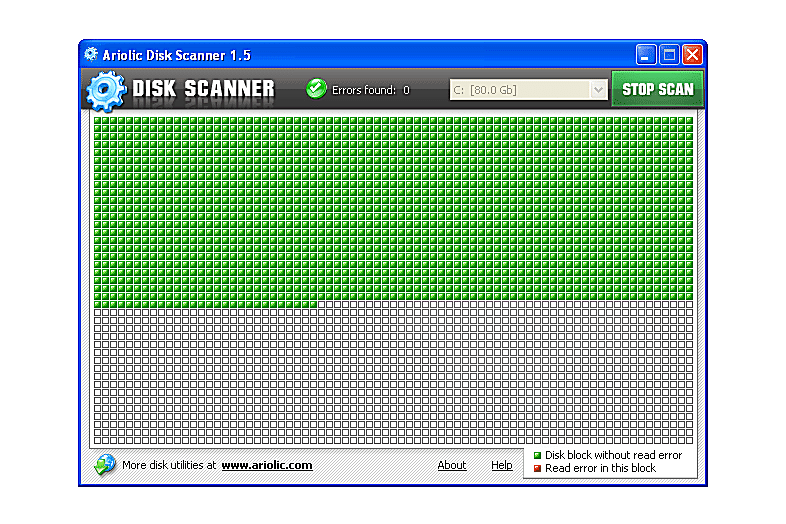 Macrorit Disk Scanner is a very simple program capable of verifying affected sectors on a hard disk. It is a tool of simple use and quick access, since it is a portable version that does not require an installation. The largest portion of this screen is used as a visual representation of the verification progress, clearly indicating the presence of possible damage. A particular detail to highlight of Macrorit Disk Scanner is the possibility of displaying the remaining time for the completion of each test, something that is absent in most hard disk verifiers. On the other hand, you can also choose to configure an automatic shutdown of the computer once the process has finished. Ariolic Disk Scanner is very similar to Macrorit Disk Scanner in that it is a tool only capable of scanning hard drives in search of compromised sectors. It has a really simple interface, presenting just one button and a clear view about the damaged sections on the disk. It is a program of only 1 MB and totally portable. Something that differentiates this tool from Macrorit Disk Scanner is that Ariolic Disk Scanner is able to create lists about the files where errors have been generated. Ariolic Disk Scanner has been tested successfully in Windows XP and Windows 10, although it is a program that should also work without major problems in other versions of Windows.